Equity share is a main source of finance for any company giving investors rights to vote, share profits and claim on assets. Various types of equity capital are authorized, issued, subscribed, paid up, rights, bonus, sweat equity etc. 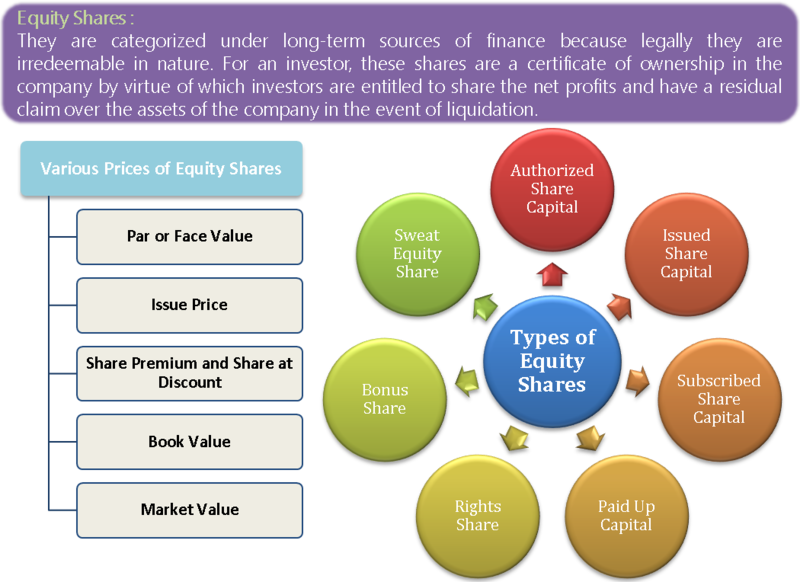 The value of equity shares are expressed in terms of face value or par value, issue price, book value, market value etc.